On this day in 1996, Ted Turner’s World Championship Wrestling aired another LIVE episode of their weekly TV show ‘WCW MONDAY NITRO’. It was broadcasted from the the UTC Arena in Chattanooga, Tennessee and featured matches, interviews & storyline segments on the road to the ‘WCW Uncensored 1996’ PPV. 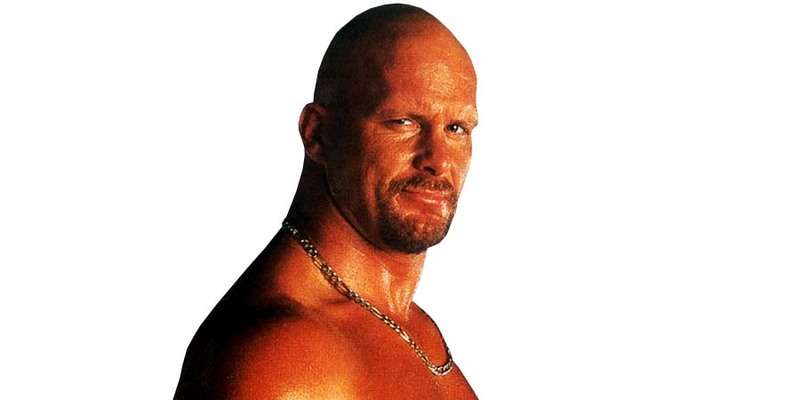 In this flashback article, we take a look at Vince Russo talking about WWE Hall of Famer “Stone Cold” Steve Austin being super pi$$ed at fellow Hall of Famer Jeff Jarrett back in the 90s. “In the years that I worked with Stone Cold, I actually witnessed him lose his temper twice—and unfortunately—I was on the other end of one of those near fatal a$$ whoopins’ ! But I’ll get to that in a minute. In order to lay out that near death experience, I need to set up a story that happened prior. It is well documented that Jeff Jarrett was one of my good friends in the business–even though he won’t give me the right time of day today–but, that’s another story for another time, but any way, I was instrumental in bringing Jeff Jarrett back to the WWF, after he had left and gone down to WCW. The day of his return, I wrote an in-ring promo for Jeff, as I wrote all his in-ring promos. Jeff was just one of those guys that liked you to write his verbiage for him. After giving him his words, Jeff read through the promo and came back to me. Upon his return he said that everything was good, but that he was just going to add one little thing. During his promo he was just going to add in there a part about Austin’s use of 3:16, and how blasphemy Jeff felt that phrase was. He was also going to accuse Steve of using the Bible reference as a tool to strictly make money. Now, keep in mind, I had NO IDEA of the back-story and the history between Steve and Jeff’s father Jerry Jarrett, when Steve was a rookie making his way through the USWA territory in Memphis—I would find that out later through Steve–but, any way, in getting back to the story, Jeff went out and cut his promo—adding his 3:16 thoughts—and Steve was on the other side of the curtain waiting for him when he came back. Steve was freakin’ furious, I mean his bald head was BLOOD RED. As soon as Jeff came to the back, Steve was verbally all over him holding nothing back. He told Jeff that he was messin’ with his livelihood and that he didn’t appreciate that. Jeff back-peddled like I’ve never seen anyone back-peddled before . . . or since. It was literally the heel backing off the baby—but, this was not scripted. After the explosive tongue lashing Steve tracked me down. He gave me CLEAR instructions to NEVER book him with that Son of a B*tch. Steve then went on to tell me that even though it was the 3:16 promo that set him off, that his history with the Jarretts went way back when as his boss, Jerry Jarrett, paid Steve so little money that he had to live on boiled potatoes when he worked under him in Memphis. So now, fast forward about six months later. Things had cooled off by then–almost forgotten. Thinking Steve was over it I made the mistake of trying to book him in an angle with Jeff. When we arrived at TV, Steve pulled me in a room and read me the riot act–citing everything he had told me–verbatim—six months prior.